You certainly wouldn’t accuse Mike McGoldrick of having an over-bearing sense of bravado, but he has achieved a trifecta of fitness business success that few other folks can match. In 2013, he competed individually as a competitor at the CrossFit Games. In 2016, he hosted Barbell Shrugged (one of the most popular podcasts in the health and fitness space) for a year. And, he’s also a coach at one of the most highly respected coaching organization on the planet — Training Think Tank. So, what does Mike do that has allowed him to achieve at high levels in all of these different areas? 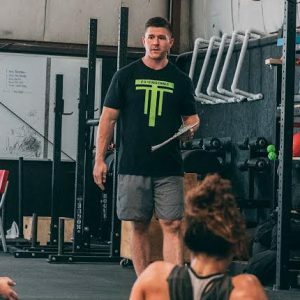 How did an engineer become one of the fittest on earth, a podcast host, and a high level coach? [17:39] How do you balance competing and training with your ability to be hyper-analytical as a coach?